The first of the DLC offerings, Thief Arthur, is a character I wasn’t previously familiar with. She apparently hails from Square Enix’s Million Arthur series, which I’ve never heard of before – but that’s okay, as I don’t think many players outside Japan have either. A thief with a clip-on fox tail? She’ll fit right into the SNK Heroines roster without anyone batting an eye. 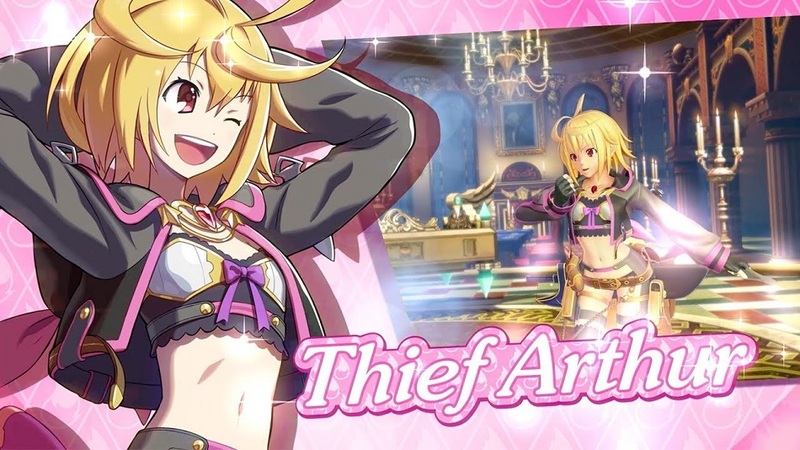 Thief Arthur seems like a reasonably strong character overall, featuring strong mobility coupled with a pair of knives she whips out during specials and supers. She can chuck said knives as a projectile attack, perform kickflips, and dash at the opponent to perform a quick grab. She can also perform an aerial Dream Finish which is always handy for surprising enemies, or pin the opponent’s feet to the ground at any range before dashing back and forth in a slicing, match-ending frenzy which looks and acts almost exactly the same as Ibuki’s Yami-Shigure super in Street Fighter 3: Third Strike. 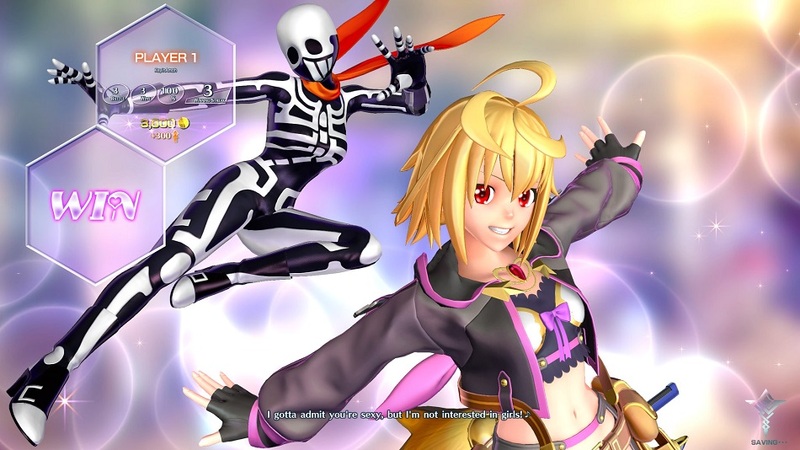 Some hot gender-bending action pops up with the introduction of the second DLC character, Skullo Mania! Not to be outdone by a certain Terry Bogard, resident spandex wearing superhero Skullo made the leap from Arika’s Street Fighter EX to smack evildoers right in their stupid faces. 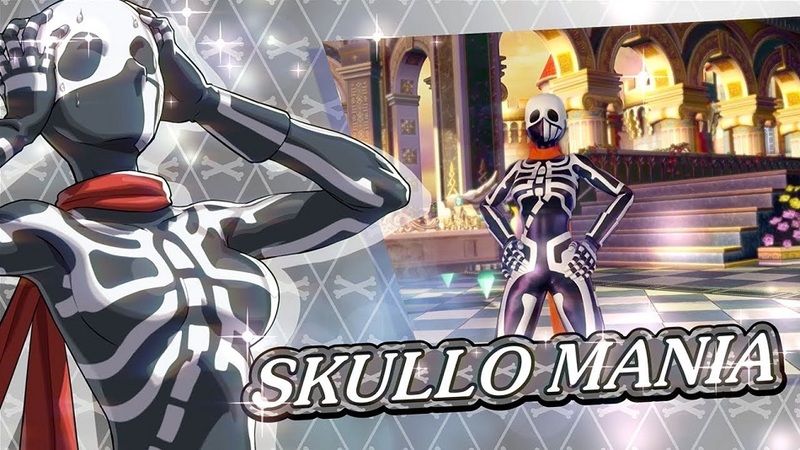 Anyone with even the slightest hint of good taste loves Skullo, and he makes the transition to SNK Heroines effortlessly, now a she. Dressed in a black Halloween-style skeleton suit, she darts around the screen performing flying headbutts, acrobatic aerial throws and mid-range sweeps. Her standard special moves can cause wall bounces that lead into further combo attacks. She’s got easy-to-land Dream Finishes as well, presenting players with the option of a ki burst style instant attack or a cinematic multi-hit super combo finisher. This pair of new combatants fits right in with the existing roster fairly well, both visually and in terms of how they perform in combat. However, many of the core characters felt interchangeable in the base game when viewed in pure gameplay terms, and neither of these DLC additions stands out as different from the rest. That said, they remain good options for fans of the game or the characters themselves, and they certainly seem competitively viable. Besides, who can pass up on the prospect of adding Skullo Mania to their roster? I’m not saying Skullo should be in every game ever made, but… well, maybe most of them. These characters are available to purchase now. Download codes for each were provided by the publisher.